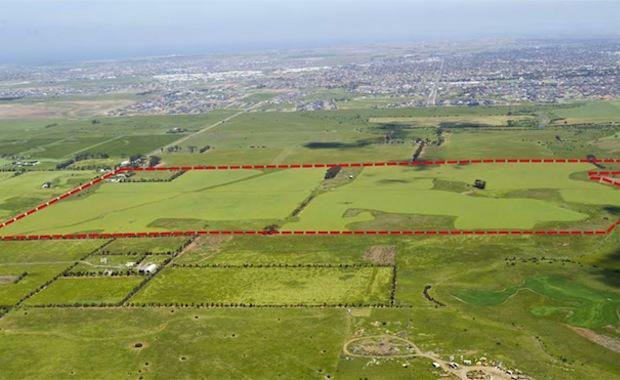 ASX-listed property investment manager Folkestone, has announced plans for its first residential land subdivision in Melbourne’s inner west. ID_Land, who owns 20% of the project, they will develop approximately 680 residential lots and a 3.1 hectare town centre on Doherty’s Road, Truganina. ID_Land will manage the delivery of the 52.5 hectare project. The $18.25 million fund, which is set to develop the housing estate, is strategically located 1.5 kilometres from the new Tarneit railway station, which is due to open when the new Regional Rail Link becomes operational. The Project is located within the Truganina Precinct Structure Plan (PSP), which is awaiting approval by the Metropolitan Planning Authority and the Victorian Minister for Planning, following the completion in April 2014 of an Independent Panel Report into the PSP. The Project is being acquired on a staged settlement basis with a series of payments required between now and 2016. Folkestone Managing Director Greg Paramor said the project provided exposure to the fast growing western corridor of Melbourne. “We believe the affordable price point for the residential lots, together with its proximity to the Melbourne CBD, access to major freeways and the new Regional Rail Link, and the major employment zones in the western corridor should underpin the demand for our Project over the coming years,” Mr Paramor said. This is the third development fund launched by Folkestone. Truganina is located approximately 20 kilometres west of the Melbourne CBD in Melbourne’s Western Growth Corridor and is part of the City of Wyndham.